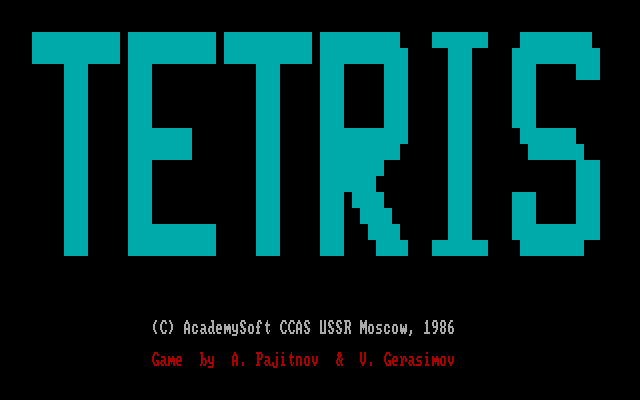 Thread in 'Research & Development' started by necrosaro, 25 Nov 2012. 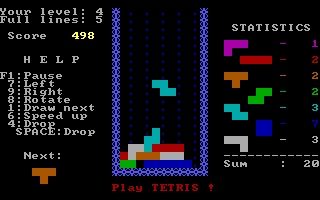 Currently the setup process is a bit cumbersome- you need to open a terminal window (adjust font and colors), launch a 15IE-00-013 terminal translation program (converting 15ie codes to UTF-8), run the "simh" pdp-11 emulator with special settings, install/load the RT-11 operating system, load a disk with the Tetris binary on it, and then launch the game. 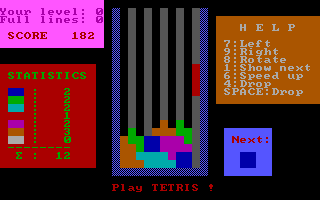 Would anyone be interested in using/playing this original Tetris, if I spent more time 'packaging' it up (maybe in some stripped-down Linux virtual machine image) and making it easy to run from any system? 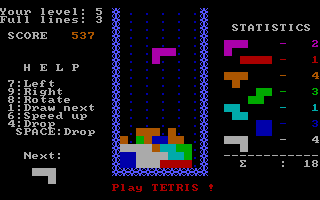 I could never get the version with the solid block characters to display properly; perhaps this is why... So yeah, I'm definitely interested, and I'm sure others are too. I actually investigated this version a couple years back and wrote a wiki article about it, with information about the mechanics, timings, bugs, a little bit of history, etc. Sadly, with the TC wiki being triplicated on HD and wikia, I didn't feel there was a good home for it, so I kept it private, and it's since been lost. 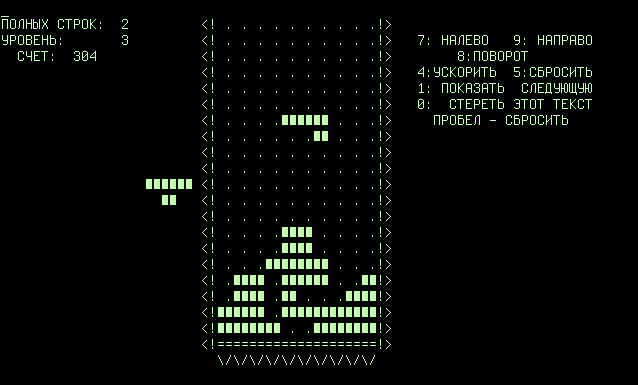 I think I need to stream various TCers playing this at Eindhoven 2013. Cool, glad to hear there's interest, I'll keep playing with packaging it up then. 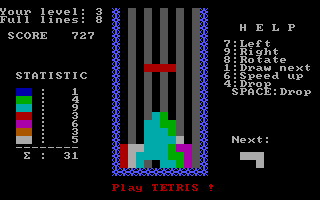 Also possibly of interest to Tetris history buffs: I've unearthed four distinct versions of the original MS-DOS Tetris, from some old BBS shareware repository CDs I found on archive.org. I've attached the binaries to this post. This is really cool. Thanks a bunch necrosaro! Haven't tested it yet with a live (or emulated) RT-11 system, though. That's really cool, good luck with your progress! And long time no see cgwg, hope life is treating you well. Is there any progress on this? 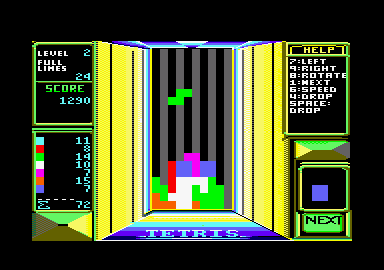 Specifically the pre-packaged emulator idea. 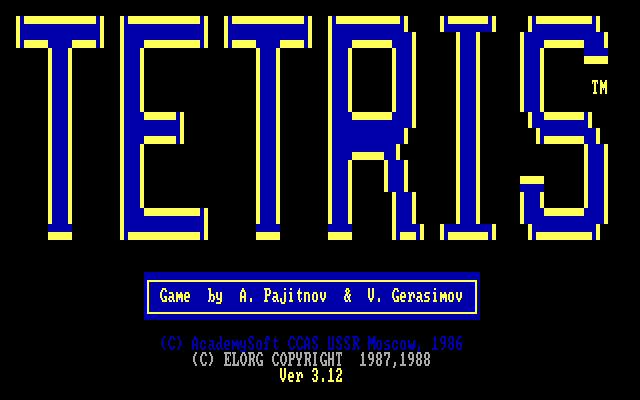 I'm planning to run Gerasimov's DOS Tetris at the Eindhoven meeting this year, but the original E60 Tetris would of course be even cooler. Novomancy, Muf and Tomek like this. 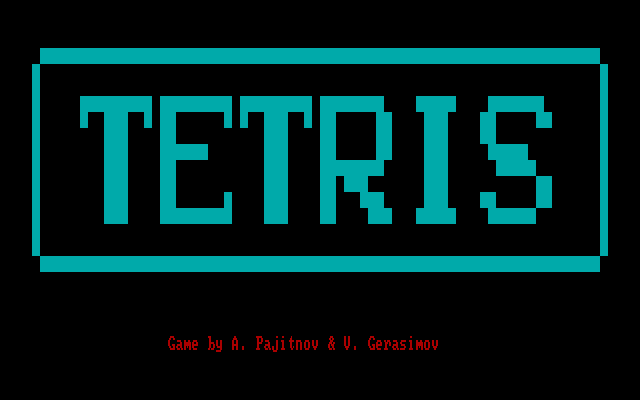 Tried this version and it works, though I had trouble using the latest mame, so I actually compiled the version in the guide. It also seems to use bone blocks not the null blocks, any idea how to get the latter?